Torque Solution Coil Pack Adapters - Dezod Motorsports Inc - Home of the automotive performance enthusiast since 2002. 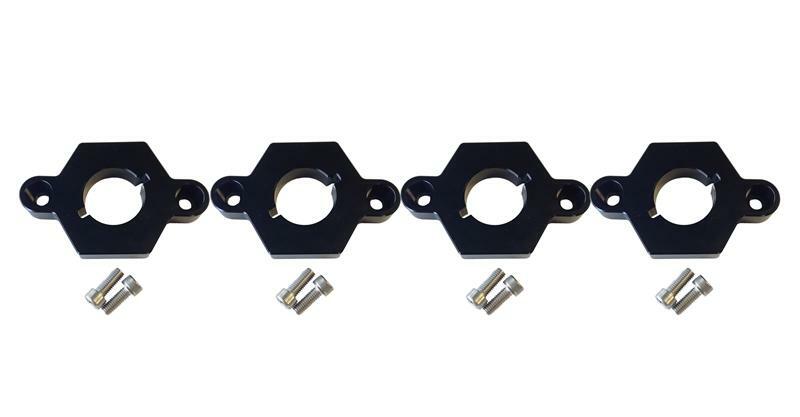 The Torque Solution coil pack adapters are made from high grade 6061 billet aluminum material. These are designed to allow you to run the upgraded FSI/TSI coilpacks and replace the failure prone 1.8t/2.7t coils. Thus giving you the ability to run a larger spark gap for smoother idle and more power with no loss of spark. Each adapter is a perfect fit and will give your engine bay a new look. All hardware is included for a clean install.